Multiview: a series of thumbnails arranged in a sliding table. A filter allows the user to select the locations by name or by active alarms. Each thumbnail is automatically refreshed when the SiteWatch sends its status. A red border indicates an active alarm or rather an active recording. Georeferenced: all locations are disposed in a Google&trade; Map automatically by their longitude and latitude. A red icon of the locationindicates an active alarm or rather an active recording. 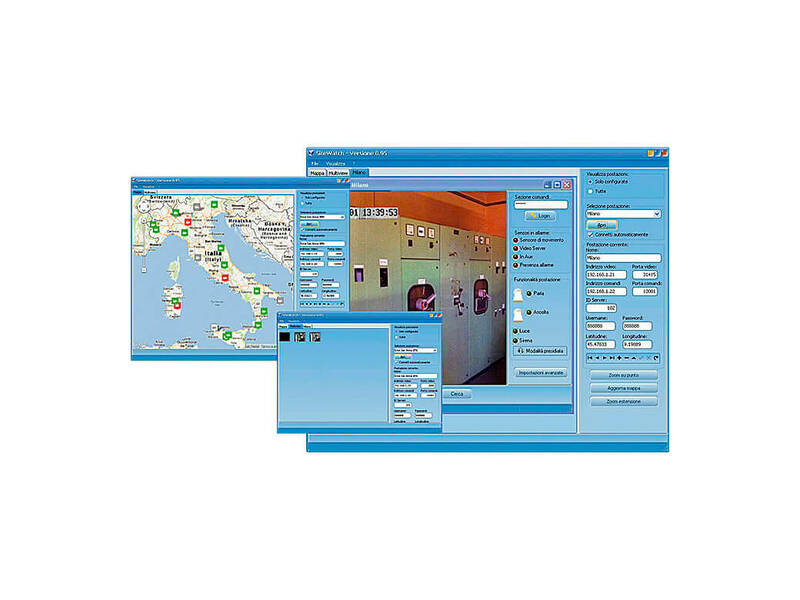 The user can talk with any operator near the SiteWatch as well as it can interact with it by enabling or disabling in remote a series of functionalities such as light, microphone and alarm.